Above: A simple red berry wreath, red chili peppers, a rustic red “R”, and red berries n’ cream. As we endure these last few weeks of winter, what better way to warm the heart and home (and perhaps a cold outlook on the winter weather) than by incorporating the color red into everday life? Red is often associated with love, vibrance, passion, and beauty. Perhaps you’ve always dreamed of red wallpaper in your bathroom, a Wolf range with it’s signature red knobs in your kitchen, or some simple red heels. Whatever you love, inspiring shades of red can be found everywhere. Will you wear red this Valentine’s Day? If so, how will you wear it? Perhaps a red dress? 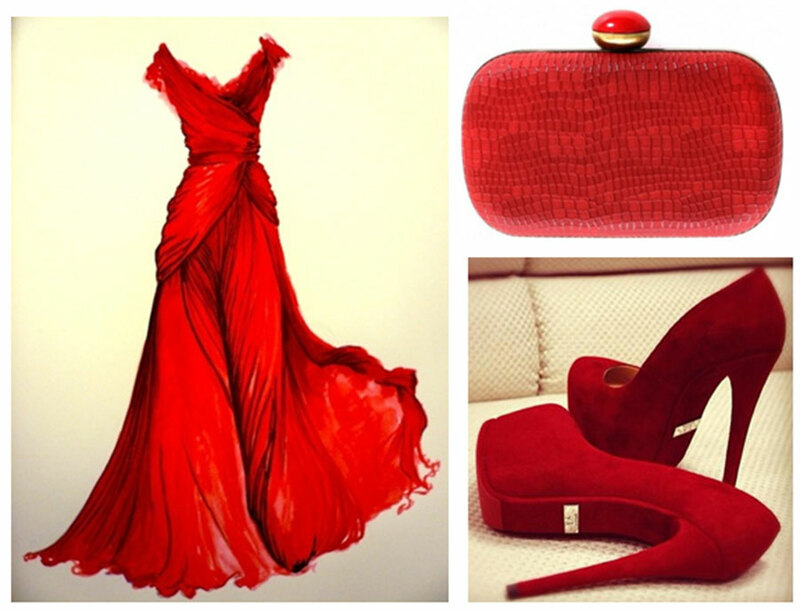 Maybe you prefer your red to be a bit more subtle…how about red pumps or a red clutch? Whether used as an accent or to envelop a guest with the feeling of cozy warmth, red is a favorite go-to for many looking to make a statement. 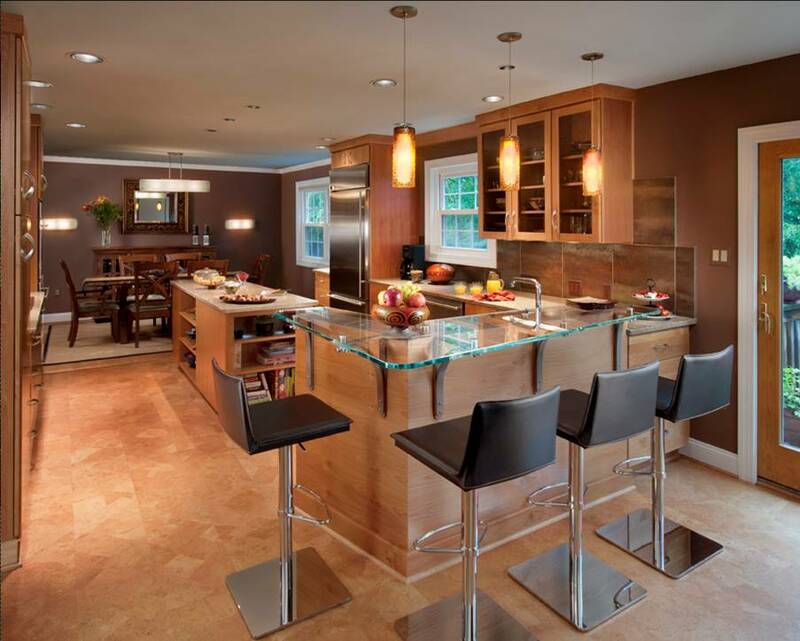 When thoughtfully used, red can add emotion and life to any space. Above: Red paint was used in the foyer with red wallpaper in the background. The red paint was then transitioned into the family room. The red adds warmth and compliments the wood tones as well. The white trim and columns create contrast. Above: Red accent tile was placed throughout the kitchen backsplash to add a bit of warmth and interest to the surrounding blues and grays. Red walls coordinate with the red accent tile. 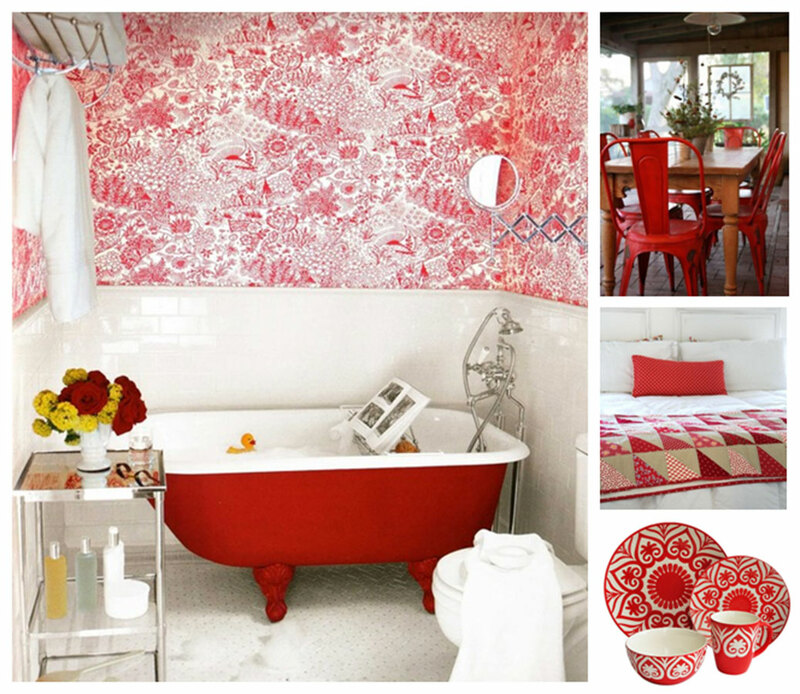 Above: Red wallpaper and a red clawfoot tub add charm and character to this bathroom. Above Right: Red chairs spice up an outdoor patio. Above Middle: A red quilt and pillow make this bed cozy and inviting. Bottom Right: Red dishes can be used to spice up any meal or dinner part. 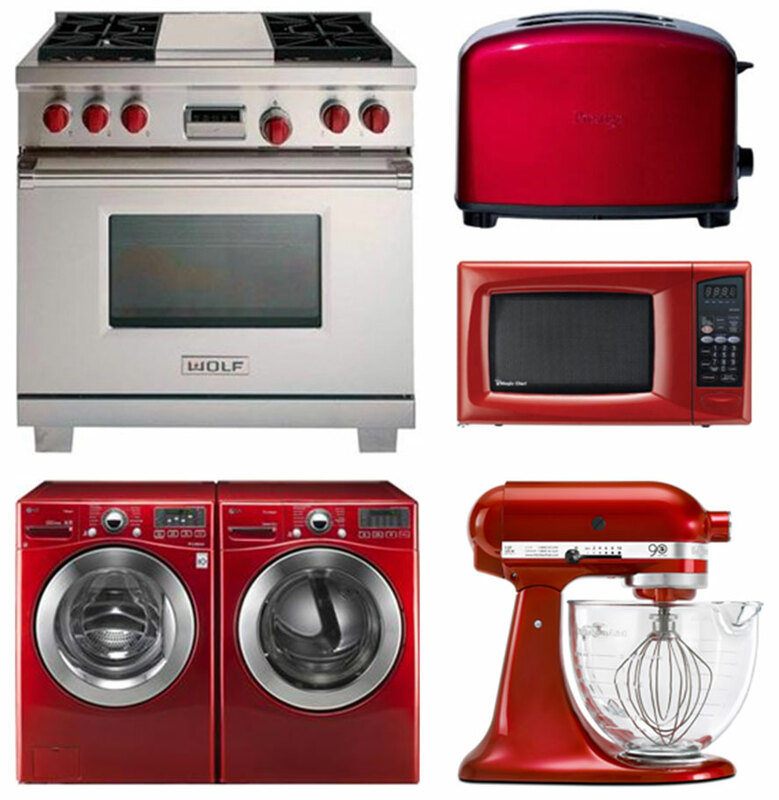 Above: Companies like Wolf, Whirlpool, Kenmore and Kitchenaid have started incorporate red into their product line. Perhaps you aren’t ready to commit to red paint, red wallpaper or a red washer or dryer. If not, that’s okay! Try a new recipe using red fruit, chili pepper, or salsa instead. 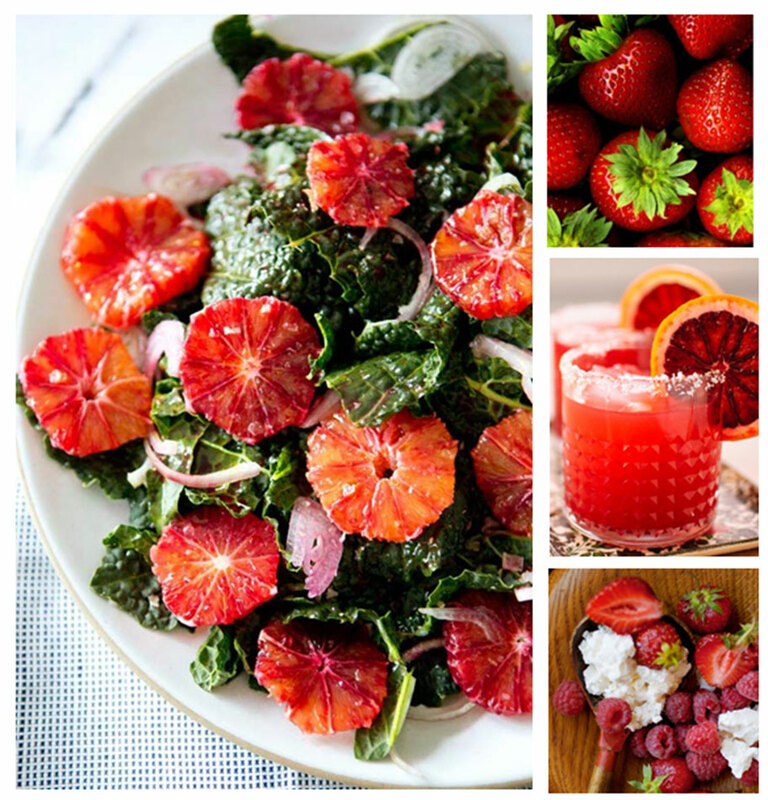 Above: Blood Orange and Kale salad, Strawberries, Blood Orange Margaritas, and Berries n’ Cream! Whatever your prefered shade or hue, we hope the color red will add a bit of love, passion, and excitment to your life this Valentine’s Day.